Want to know how to save money and get the most wear out of your carpet? Carpet makes a home feel warm, cosy and comfortable, but fresh, clean carpet makes all the difference. Here are our five top tips for extending the life of your carpet. The first step to extending the life of any product is to make an informed and quality purchase. When purchasing carpet it’s important to consider which room it will be installed in, as well as the general nature of your home. Will the carpet be in a high traffic area, such as a living room, or a low traffic area, such as a master bedroom? Do you have any children or indoor pets? These questions will determine carpet padding, fibre, and style. Although the padding underneath the carpet isn’t visible, it pays to have a strong foundation. Carpet padding, usually made from rubber or foam, gives the floor extra cushioning and comfort. Good quality padding prevents the fibres from coming apart, which prevents premature wear and tear. Keep in mind that high traffic areas require firmer padding. 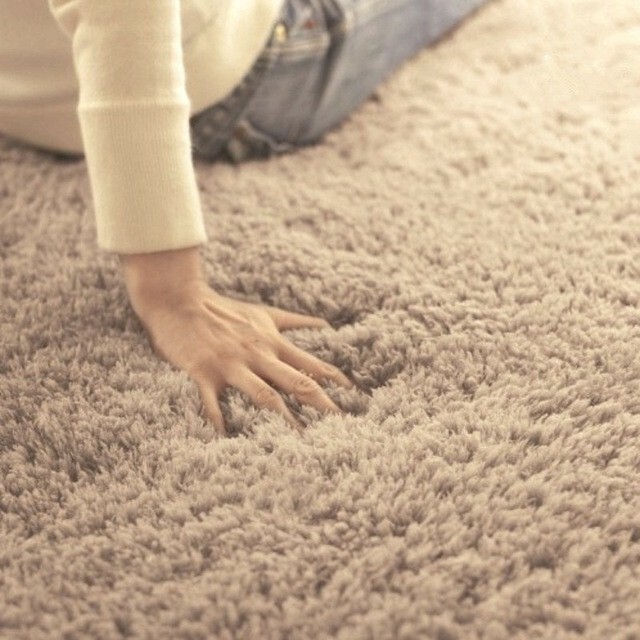 There are different types of carpet fibres, including nylon, wool, and polyester. Nylon proves to be the most common for high traffic rooms. This is due to its strength, resilience, and durability. It also cleans well, which increases its longevity. 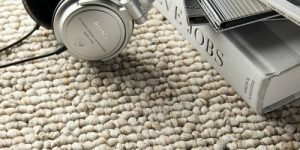 To know more about carpet fibre choice for your home, read out our blog Best natural carpet fiber choices for your home. Carpet style refers to the pile of its fibres, or in other words, how the carpet is woven. Carpet styles include Berber, Saxony, and plush. The density of Berber carpet allows for it to be a very durable option. Perfect for high traffic rooms, Berber doesn’t show footprints or vacuum tracks. This style is ideal for big families, children, and pets. Saxony and plush, on the other hand, work well in low traffic rooms. They’re soft and fluffy, however, they tend to leave footprints and vacuum tracks. These carpet styles are also prone to ‘pooling,’ which is when areas of the carpet appear shaded because the fibres have been reversed. Purchasing the right carpet is circumstantial. Purchasing from a reputable retailer will ensure you make an informed and well-advised decision. To maximise longevity, it is suggested that you rearrange the furniture on your carpet every few months. Eventually carpet will wear, however, this method encourages it to wear gradually and evenly. It also provides a solution to the two major carpet-wearing causes – the furniture and people on it. That’s because rearranging heavy furniture relieves pressure on areas of the carpet, as well as changing the room’s footpath and traffic flow. It’s also important to protect carpet from too much direct sunlight, to avoid the colour fading. Rearranging furniture creates different shadow paths in the room, depending on where the windows are. So, this method also helps the sunlight spread evenly. Appropriate curtains and blinds will also help reduce the rate of colour fade due to direct sunlight. Spills are inevitable, but stains don’t have to be. Immediate spot treatment is essential to avoid the spill from soaking up into the fibres and remaining permanent. It’s also much more effective than attempting to scrub hours later, no matter how hard you scrub. Keep in mind that scrubbing isn’t the way to go, anyway, as it’s likely to damage the fibres or even spread the stain more. Instead, you should gently blot with a damp, white cloth, working from the outside of the stain inwards. This method stops the stain from growing and spreading outwards. A white cloth specifically allows you to see how much of a spill you have removed. It also gives a good guide on if and when you should change the cloth, to avoid transferring the spilled product back onto the carpet. You should start by blotting with plain water, however, if the damage still persists, move on to a carpet stain remover. While big cleans are essential, regular and effective home maintenance, even for small stains, increases carpet durability dramatically. There’s no doubt that vacuuming is essential for removing visible dirt. The longer dirt is resting on the carpet, the more opportunity it has to soak into the fibres, leaving a permanent stain. Like sweeping, vacuuming daily proves to be most beneficial. However, people are busy and this isn’t always possible. It’s recommended that high traffic areas are vacuumed at least 2-3 times a week. Vacuuming a carpet without cleaning it professionally is like sweeping a kitchen floor without ever mopping it. It does the job for now, but will eventually require a much deeper clean. Professional carpet cleaning gets rid of hidden dirt, giving the carpet a new and fresh effect. Once a year is a standard to getting your carpet professionally cleaned. However, it’s recommended more frequently for those who have pets or children. For a professional carpet cleaning service in Adelaide, call CRG Carpet Cleaning at 0411 154 433 or get a quote on http://www.crgcarpetcleaning.com.au/get-a-quote/.